UK Visa Requirements in Nigeria – The United Kingdom, which consists of several countries put together, they include England, Scotland, North Ireland, and Wales, is located on the continent of Europe. The lingua franca of the United Kingdom is English. Due to the favorable economic condition of the UK, several non-citizens from all over the world continually seek to visit the country for various reasons. For these non-citizens to gain access to the United Kingdom, they are required to apply for a visa and access will be granted only if the visa application is approved. Most of these non-citizens therefore apply for visas so that they could visit the United Kingdom for study, medical, tourism, work, business, visitation, holidays or any other purposes. 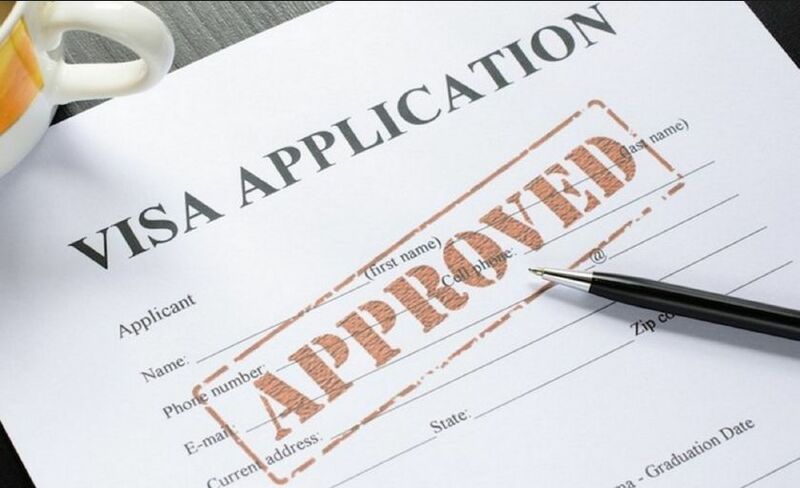 To get their visas approved, applicants need to be abreast of all the necessary information regarding the application process as well as the requirements that should be met. Gaining necessary information ensures that the visa application process is seamless and easy to go through. It is also imperative for the visa applicants to know ahead of the application the class of visa they should be applying for, this way they can go through the application process without stress. If you are reading this article, I guess you must be seeking some information about the requirements to be met before applying for a United Kingdom visa successfully. This article will be providing you with all the necessary information regarding this topic. It will also give you relevant information about the different classes of visa and an insight into the visa application process, how it can be carried out and much more. A visa is the major prerequisite to visit most countries, the United Kingdom is no exception as you will have noticed from the above text. Only non-citizens with an approved visa are allowed to visit the United Kingdom. The only exception to this rule are citizens of countries which are under the Visa Waiver Program (VWP), these people are allowed to travel into the United Kingdom without any stress, they will only need to present an Electronic Visa Waiver (EVW). The citizens of countries under the VWP are allowed to stay in the United Kingdom for six months (180 days) on presentation of the Electronic Visa Waiver (EVW). Tier One (General) – This particular class is no longer available to new visa applicants. Tier One (Investor) – This visa is provided to individuals who are interested in investing in the United Kingdom economy. Tier One (Entrepreneur) – This visa is made available to individuals who have a desire to startup businesses in the United Kingdom. Tier One (Graduate Entrepreneur) – This visa is granted to young graduates who have operational ideas which are evaluated to be feasible. Tier One (Exceptional Talent) – This visa is given to applicants who have been endorsed by the educational sector to be academically talented. Tier Two Visa. This visa is issued to individuals who have been offered skilled employment in the United Kingdom. It is regularly referred to as a Work Permit. Tier Four Visa. This visa is particularly issued to student applicants who have been offered provisional admission to study at any educational institution in the United Kingdom. A major criteria for the issuance of this visa is proof that the student is well able to foot the educational fees, this is evaluated from the bank account of the applicant. Another criteria is the submission of the admission letter from the school of the applicant. It is also known as a study visa. Youth development and mobility schemes. United Kingdom Family Visa. This kind of visa is granted to individuals who want to visit their family members in the United Kingdom for a period of time. The major criteria for issuing this visa is an invitation letter from the family relation. United Kingdom Visitor Visa. This visa is provided to individuals who want to stay in the United Kingdom for various reasons for a period not exceeding six months. The people who fall into this category include, individuals visiting for medical purposes, entertainer visitors (like musicians, thespians, comedians, etc. ), academic visitors (like lecturers on sabbatical or students visiting to attend special trainings and conferences), or general visitors (individuals visiting for the purpose of tourism or holidays). Now that you have been enlightened on the classes of visas available to be applied for, it is easier to select the visa that best suites the conditions or reasons for your travel to the United Kingdom. The next question to be answered is, what exactly are the requirements to be met before tendering an application for the United Kingdom Visa? It is imperative that this question is answered since the visa application process is a very delicate one and any mistakes can mean a declination of the application. On the overall, regardless of the visa type applied for, the visa applicant must be able speak and express themselves in English language. They must also be financially capable to foot their bills especially in terms of maintenance costs at least for the first month of their stay in the United Kingdom. In addition to these, the visa applicant in almost most cases will have to be properly defend their reason for the visa application, along with all the necessary documents. The United Kingdom visa application form. A valid, recent international travel passport. A proof of payment of the United Kingdom visa application fees. A recent colored passport. The dimensions of the passport should be 29mmx34mm. Financial statements which should prove that the visa applicant is able to cater for his/her maintenance costs in the United Kingdom. The documents should include the bank statements of the individual in question, a proof of monthly and annual earnings. In the event that the individual is going to visit a family member or other individual, the sender of the invitation letter should provide alongside a proof that he/she has the financial capacity to support and cater for the applicant throughout the period of stay in the United Kingdom. For work visa applicants, the employer should provide information in a letter outlining the reason for the visit, who the applicant will be meeting with, and details regarding any payments or expenses by the applicant throughout the stay in the United Kingdom. For individuals applying for a visitor’s visa, there should be an invitation letter from the family member or any other individual they are planning to stay with while in the United Kingdom. For individuals going for a tourist visits should provide the itinerary for the period of their stay in the United Kingdom. For applicants for student visa, the individual must provide an evidence of admission to the United Kingdom based institution. In the event that the individual is applying for a special visa due medical challenges, the individual should provide a letter from a doctor or consultant showing the present details of the individual’s health condition. The letter should also contain the duration of the treatment the individual will undergo, how much the treatment will cost. Firstly, you need to acknowledge the kind of visa you need. Fill the United Kingdom visa application form. While entering the required details ensure that you enter the correct details. This is necessary to avoid discrepancies which could lead to the visa application being declined. Pay the United Kingdom visa fees. Submit the completed form and make a printout afterwards. This printout will be requested later in the application process. Save your GWF number (The GWF is a twelve digit number which generated automatically once you submit the application form. The number looks like this, GWF0**********9). Once you are done with the application form and you have submitted it, fix an appointment date with the visa application center. This is done on the same website where the application form was filled. Open an online account with the Teleperformance website. Teleperformance is a company partnering with the United Kingdom government to assist with the visa application process. The registration of this account will ensure that you gain access to track the progress of your visa application process. Once your appointment date and time is fixed, ensure you make good of this date. Late arrival or missing the date altogether could be a big blow to your application process. Where can you get the UK visa Application Form? In Nigeria there are two major ways of getting the United Kingdom visa application forms. Note however that both options are online, so will need internet access to get through to the forms. Firstly you can get the visa from the Teleperformance website. As stated earlier, Teleperformance is a company which is in partnership with the United Kingdom government to assist with the visa application process in Nigeria. The second option is via the official website of the United Kingdom immigration office. This can be done on the website on which the visa application was made. To do this, the applicant will be required to provide the GWF number which was given upon the completion of the visa application. You can fix the date and time you will be available and also choose the location most convenient for your interview. When going for the interview you will be required to visit the preselected interview location with the required documents. You should also go along with a printout of the appointment confirmation page and the visa application page. The authorized avenue for United Kingdom visa application fee payment is any of the Guaranty Trust bank branches all over the federation. The applicants can also pay the fees via the Guaranty Trust bank online banking portal, this option is basically for account holders only. On completion of payment, the applicant should make sure they receive a bank teller or print the payment confirmation page as it will be required for submission later in the visa approval process. The time required for the visa to be approved differs depending on the kind of visa applied for. 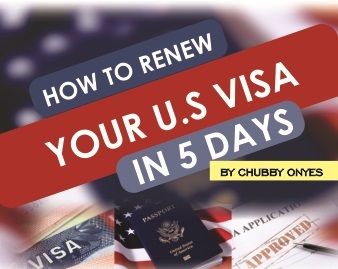 Generally it takes about four to six days and a maximum of two weeks for the visa approval process. For further information you can visit the official United Kingdom Visa Application webpage. I hope this article have been quite helpful in providing you information needed to apply for the UK visa.